USS Nautilus was the world's first nuclear-powered submarine. Her propulsion system was a landmark in the history of naval engineering and submersible craft. All vessels previously known as "submarines" were in fact only submersible craft. Nautilus' nuclear plant enabled the boat to remain submerged for weeks, even months. Thus Nautilus was the world's first true submarine. Nautilus demonstrated her capabilities in 1958 when she sailed beneath the Arctic icepack to the North Pole and broadcast the famous message "Nautilus 90 North." 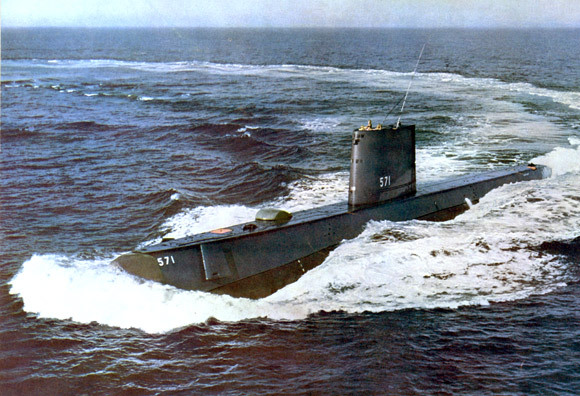 Scores of nuclear submarines followed Nautilus, replacing the U.S. Navy's diesel boat fleet. During her long career Nautilus established many historic firsts. She was decommissioned in 1980. 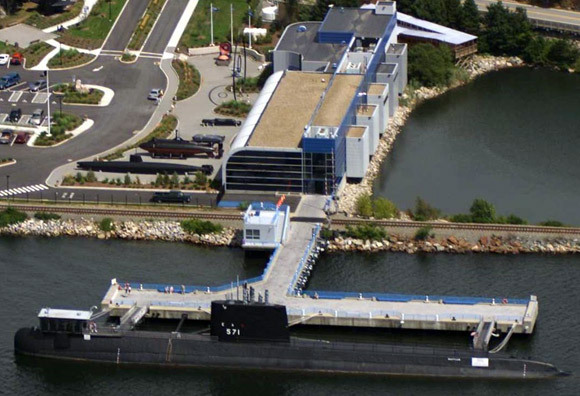 The boat is now open to the public in Groton, Connecticut, where many of America's submarines, including Nautilus, have been built since the early 1930s. USS Nautilus is a National Historic Landmark and Connecticut's State Ship.